Hello Disney and Crafty Friends! I hope that you are having a fun filled summer! Mine has been filled with fun and is flying by! I have been busy making priceless memories with friends and family. 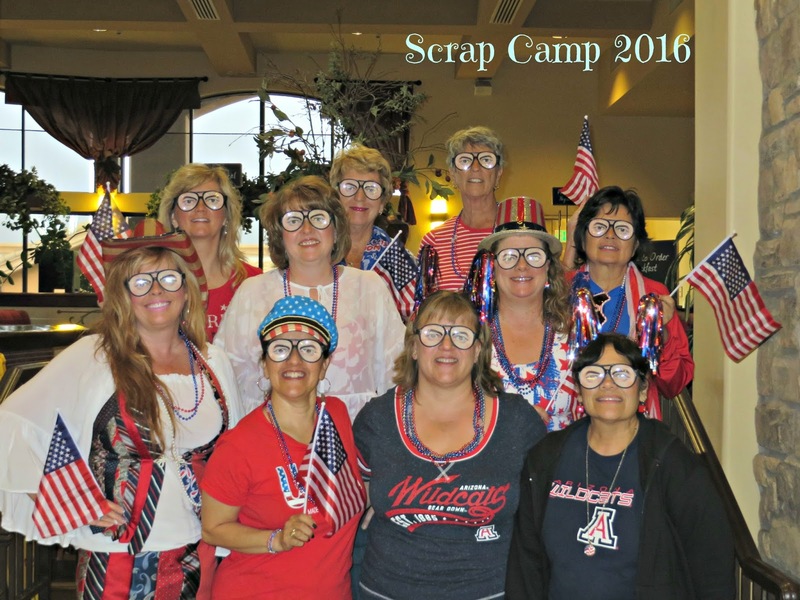 Every June brings Scrap Camp. What is Scrap Camp you ask? It is a weekend set aside to spend with friends escaping the grind of everyday life. We spend it laughing, eating, field tripping to nearby stores, visiting and oh, yes, we even craft a little. 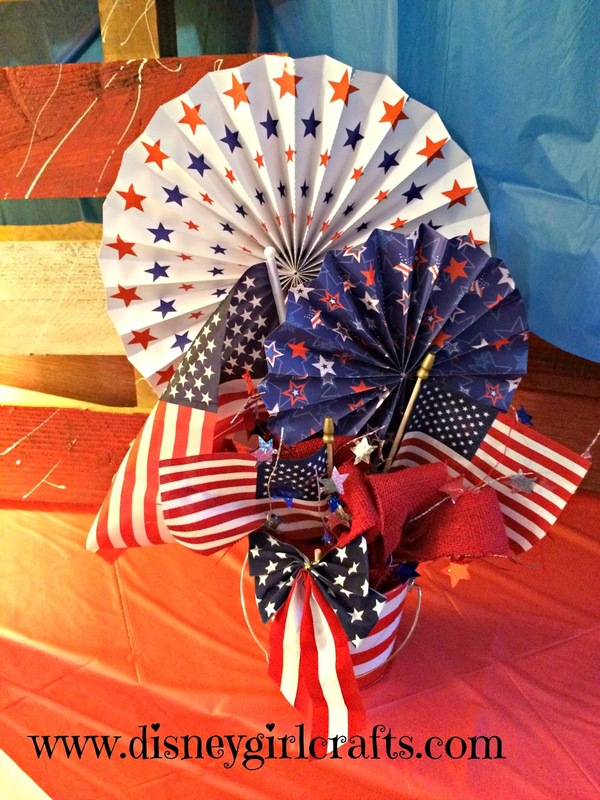 Each year brings a different theme. 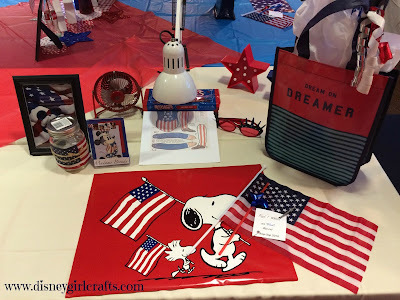 This year we celebrated Red, White and Blue! The decorations are amazing! 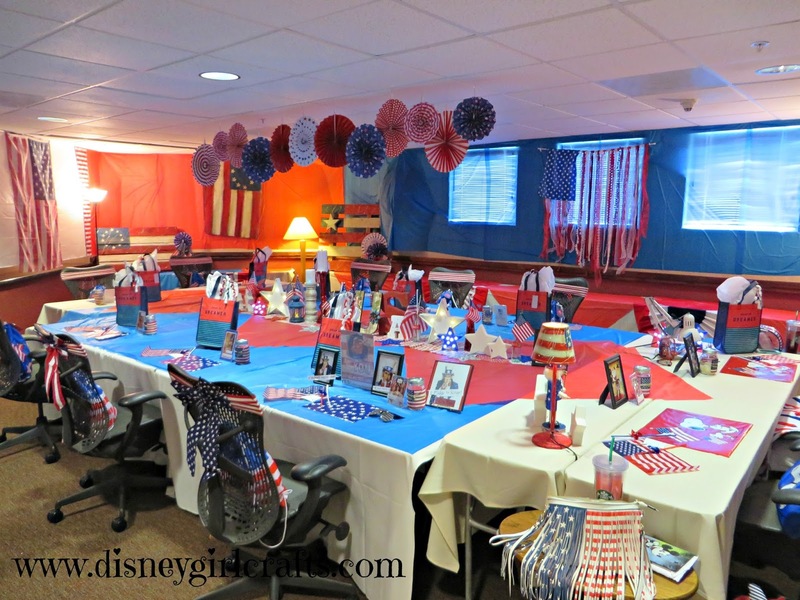 They are done by one crafty, fellow Disney Chick.....my dear friend Candy! This was my spot for the weekend. Here we are....dressed in the theme of the weekend AND sporting some very special eyewear! That's it for now! At Scrap Camp I started working on my Disney Cruise album. So fun to scrap and relive the memories of the trip while I scrap! I hope that you have a magical day! Thanks so much for stopping by. Check you out hiding int he back. LOL You guys have so much fun every year. If I were a joiner, I'd love being a part of your group. Welcome home! Creative Blessings. Taller ones in the back row :-) LOL!! !